WHAT IS THE RALPH I. GOLDMAN FELLOWSHIP? The Ralph I. Goldman Fellowship in Global Jewish Leadership (RIG) is JDC’s premier leadership opportunity, awarded to one person annually, for rising Jewish communal or lay leaders, young thinkers and doers from all fields — policy makers, writers, business innovators, artists, and community builders. The Fellowship enriches a rising leader through direct exposure to local communities around the world and key challenges confronting the Jewish people. Fellows plan their year alongside senior JDC staff, identifying and designing 2-3 unique overseas placements shaped by their skills, interests and the critical needs of communities abroad. This is a paid, professional opportunity for an exceptional young leader who is committed to impacting the global Jewish world. RIG Fellows receive a stipend and generous benefits. who was ralph i. goldman? 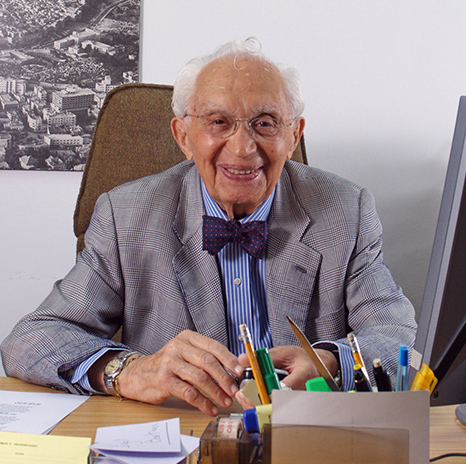 Ralph I. Goldman (1914-2014) was JDC’s beloved Honorary Executive-Vice President, a builder of the State of Israel, and a global Jewish leader whose historic investments in Jewish life worldwide have ensured a strong, vibrant Jewish future for generations to come. We seek passionate and rising young leaders in the Jewish community, who have experience as Jewish communal professionals or lay leaders, and who care deeply about the global Jewish world and are committed to making it a better place. JDC works in over 70 countries around the world. RIG placements are based on an individual fellow’s strengths, background and preferences. Previously, RIG Fellows have served in locations including Belarus, China, Georgia, Ethiopia, India, Israel, Hungary, the Philippines, and Ukraine. 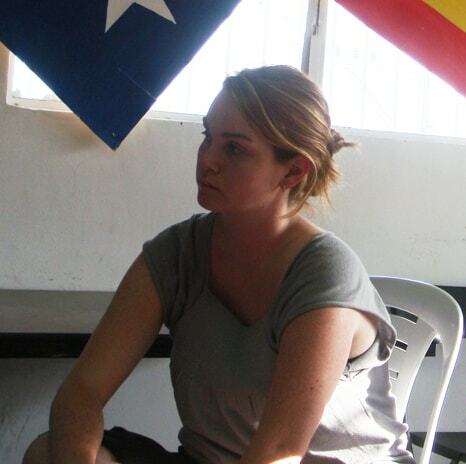 Typically, RIG Fellows will serve in two or three different country assignments during the fellowship year. WHO ARE PAST RIG FELLOWS? Each of our past fellows had a uniquely impactful year. Learn more about each of them below. Jessica is an experienced network weaver, educator, community builder, and coach. She has a B.A. in Sociology from Michigan State University and an M.Ed in Higher Education from Loyola University Chicago. Jessica was the HR Training and Recruiting Manager at Moosejaw Mountaineering before making the move to engage and connect top talent and startups at re:purpose, a local startup. Currently, Jessica is the local coordinator and consultant for Reboot, an organization that affirms the value of Jewish traditions by creating programs for people to make them their own. She is also a coach for Prosper, “the interview coach in your pocket”, a startup that provides interview coaching. 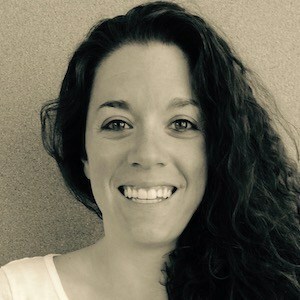 Jessica has worked engaging and coaching young adults in various roles as a professional and consultant within MSU Hillel, Birthright Israel, OneTable, and Amplifier. Jessica has served on multiple boards including Kadima, a mental health organization, The Well (founding board member), and through the Jewish Federation of Metro Detroit. An adventurer at heart, Jessica has climbed mountains, backpacked Europe and yoga retreated. She loves the outdoors, reading, rock climbs on occasion, and has a moderately healthy obsession with ice cream. Professional achievement in the candidate’s chosen career. 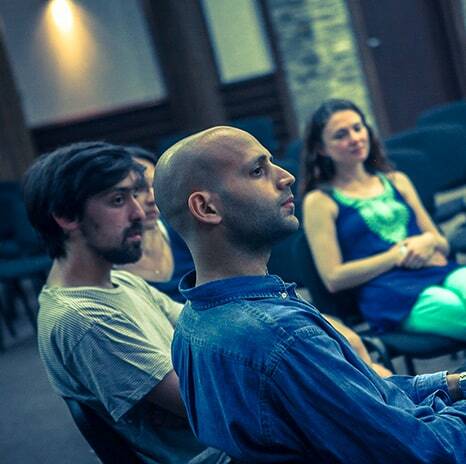 Rising Jewish leader, either as a Jewish communal professional or lay leader. Demonstrated exceptional leadership and communication skills. Strong interest in international Jewish affairs and public service. Knowledge of foreign language(s) is a plus but not a requirement. Formal and/or informal Jewish education is a plus but not a requirement. Bachelor’s degree and proven academic excellence. Master’s degree a plus but not a requirement. Applications for the 2020 RIG Fellowship will open in Summer 2019. Fill out the form below to receive a notification when the application opens. 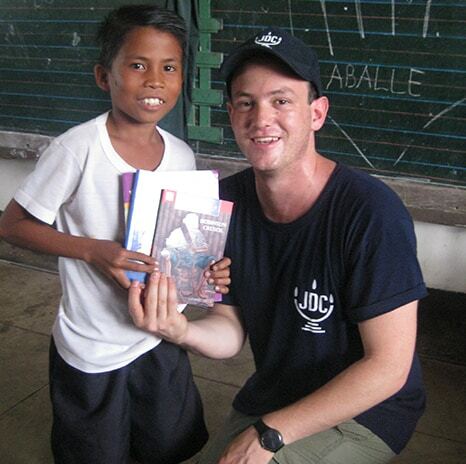 Adam served as part of JDC’s initial crisis evaluation team in the Philippines following Typhoon Haiyan in November. Since then, Adam has been integral in establishing partnerships for sustainable development in Manilla and beyond, working in some of the most devastated parts of the region. 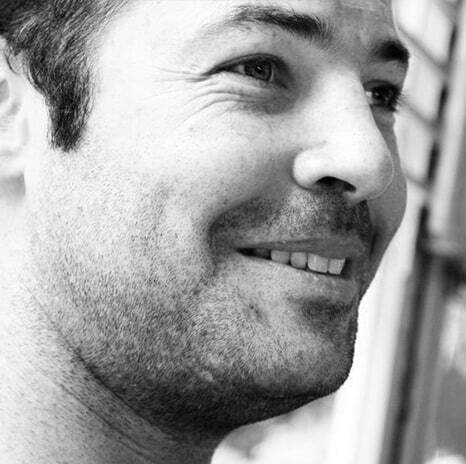 Today, Adam is a doctor of internal medicine, with an interest in Indigenous health and community development in Australia. As a Ralph I. Goldman Fellow in 2010-11, Alejandro spent extensive time working with the Jewish communities of the Former Soviet Union and Eastern Europe. In Minsk, Belarus, Alejandro worked with all members of the community, developing programs for children at-risk and engaging with the elderly at JCCs and Heseds. In Ukraine, Alejandro worked alongside JDC’s Metsuda program, which seeks to equip young Jews with tools in community building and development, strengthening the program through his experience working with global Jewish communities. 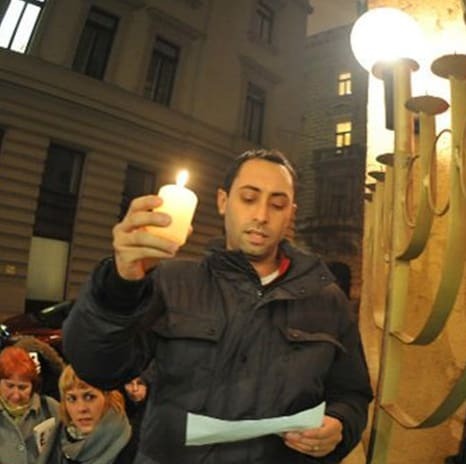 As a Ralph I. Goldman Fellow in 2011-12, Aviad began his year in Poland, conducting research about Jewish life in smaller communities across the country, and developing plans for additional outreach and young adult programming. 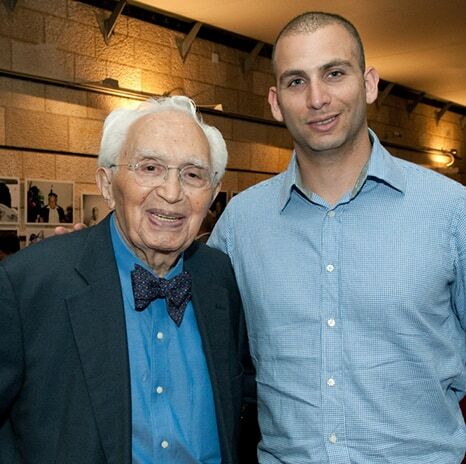 Aviad completed a Bachelor of Business Administration degree at the Hebrew University of Jerusalem, with a minor in East Asian studies, completed his Master’s degree in Public Policy at the Lauder School of Government, Interdisciplinary Center in Herzliya, and worked in Israel’s office of the Prime Minister, as an Advisor to the Director General in the Ministry for Senior Citizens. 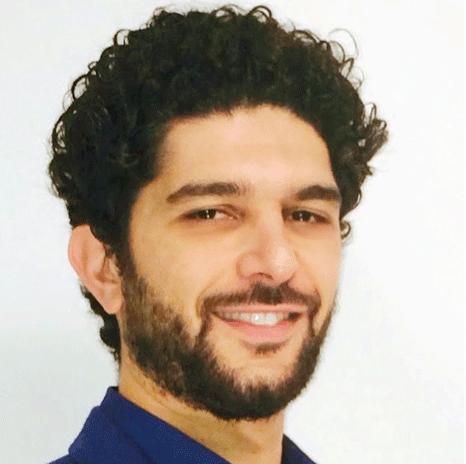 Eliran, a native Israeli who served as the 2015 Ralph I. Goldman Fellow, was part of JDC’s crisis evaluation team on the ground in Nepal, providing immediate emergency aid and early recovery support following the 2015 earthquake. Eliran was instrumental in assisting JDC to establish partnerships to support Nepal in its mid- to long-term recovery phase. Prior to serving as a RIG Fellow, Eliran served as an officer in the IDF for 7 years. He also co-founded the organization, Olam, a social enterprise that identifies needs, provides innovative solutions, and promotes ethical goals in the Israeli society. Eliran is engaged in Israel advocacy worldwide and leads Young Ambassadors delegations to the UN Headquarters in NY. Eliran currently works at the JDC Israel office. As the Ralph I. Goldman Fellow in 2007-2008, Joy co-founded Do Good Ukraine!, the first volunteer resource center of its kind in Ukraine, and explored opportunities for women to assume more leadership roles in the local Jewish community. 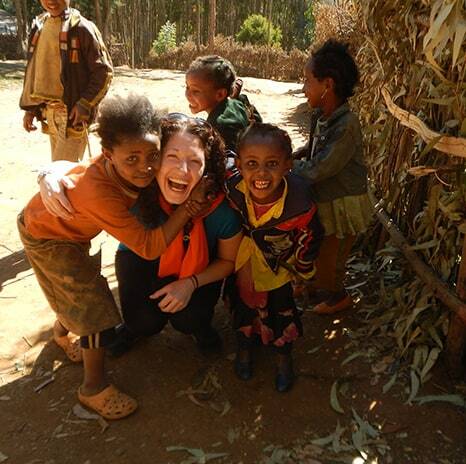 Joy then served in Ethiopia, where she identified critical non-sectarian development programs and documented JDC’s non-sectarian involvement in Ethiopia over a 25-year period through research, interviews with past/present clients, written/oral history and photography. 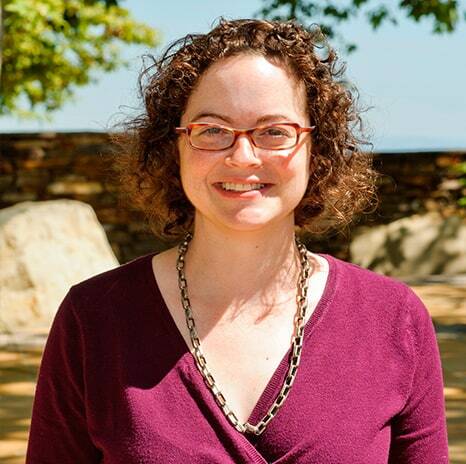 Today, Joy is the Executive Director of the Jewish Women’s Foundation of New York which works to advance the status of women and girls in the Jewish community in New York and Israel. Joy also serves as Co-Chair of the Entwine Steering Committee. Joy also served as Co-Chair of the Entwine Steering Committee and is currently an active member of JDC’s Board of Directors. 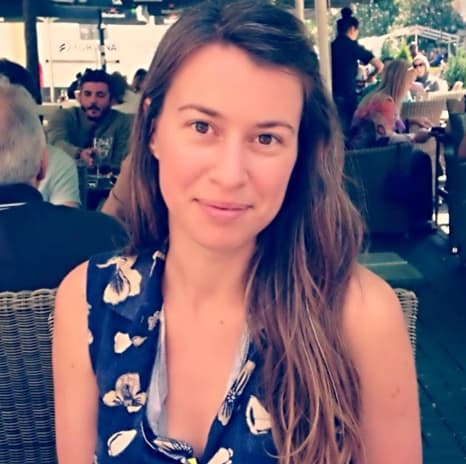 Noa Tal holds an MSc in Neuroscience and MA in Public Policy and Government, and combined BSc in Psychology and Biology, from the Hebrew University. During her studies, Noa became involved in social organizations and leadership programs, working to make Jerusalem a more tolerant, inclusive, young and vibrant city. Following these experiences, she decided to change her academic and professional path to public policy. In parallel to studying at the honors program in Public Policy and Government, she started working in the Knesset as a Parliamentary assistant and as a professional consultant on the national budget. Ruben Uzan has been interested in identities, human dynamics and motivations since his early years in Paris, France, which is why he pursed a cross-disciplinary degree from the department of Communication Sciences at Paris’ Sorbonne University. Throughout his career, he has received training in several parapsychology and coaching skills, such as Neuro-Linguistic Programming (NLP), Hypnosis, Enneagram and Process-Communication. His career path includes experience in the influence industry of Advertising; the authority industry of Politics; and in the reshaping industry, where he currently focuses on creating brand-storming and brand identities workshops for a variety of clients. Born to a traditional French Sephardic family, passion and commitment for Israel has long been at the center of his attention. He completed basic training in Israel’s Defense Force (IDF) through the Marva volunteer program and also served as an Israeli Government Fellow. Ruben also worked in business development in Canada. In 2015, he returned to his home town of Paris, where his interest in Jewish global identity shaping is at the core of his consulting work, values and identity. Sara supported JDC Israel in developing essential employment training models for unemployed Arab-Israeli and Ultra-Orthodox populations, evaluated JDC programs in Ethiopia, and assisted JDC’s Former Soviet Union department by developing new models of development for life-saving welfare programs. 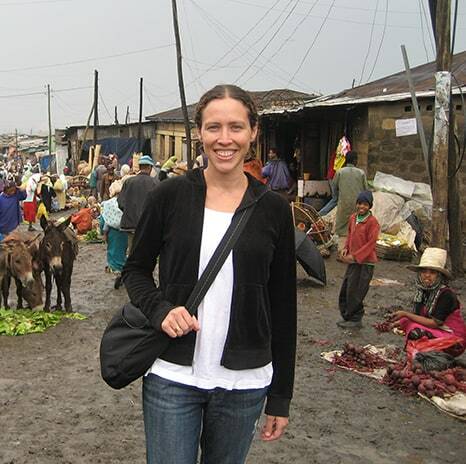 Before serving as a Ralph I. Goldman Fellow, Sara was the Director of Cross Cultural Initiatives for Intersections International, where for over five years she has led international projects to promote global intercultural dialogue with a specific focus on youth. Following his year of service in Ethiopia with the JDC Entwine Global Jewish Service Corps, Shaun was selected to serve as the 2012-13 JDC Ralph I. Goldman Fellow. Shaun served in Saint Petersburg, Russia, teaching Hebrew, leading leadership initiative programs, and learning about Jewish life in the region by interacting with community members and leaders. Shaun also worked in Israel, China and Eastern Europe, engaging with a number of initiatives affecting these Jewish communities. Shaun now serves as JDC’s Global Program Officer and is based in NYC. Serving as JDC’s Ralph I. Goldman Fellow from 2009-2010, Violetta divided her year between Odessa, Ukraine and Jerusalem, Israel. In Odessa, Violetta worked to develop youth and leadership programming at the newly opened Beit Grand Jewish Cultural Center. In Jerusalem, she worked with JDC on issues of capacity building for labor migrants and Diaspora relations. Today, Violetta serves as is the Director of Leadership Development and Camping for the Edith and Carl Marks Jewish Community House (JCH) of Bensonhurst, Brooklyn. Serving as a Ralph I. Goldman Fellow in 2010-11, Zev spent nearly 5 months in Hungary, working on JDC-supported Jewish community development programs in the region, helping to plan seminars and retreats that educate young Jewish leaders, ages 18-35, and enhance their skills through training in conflict resolution, leadership, and management, and building Jewish identity. Zev also spent two months in Hong Kong, supporting JDC’s effort to look at newly emerging Jewish communities in Asia and conducting a community mapping study of Jewish life in Singapore, Hong Kong, and Mainland China.